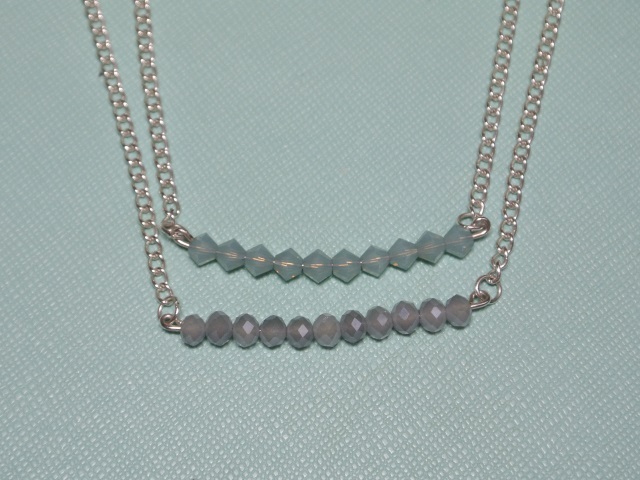 I like the look of simple layered necklaces, but it is a pain to put them all on. I also find that at least one will shift throughout the day so I feel like I am always tugging them back into place. 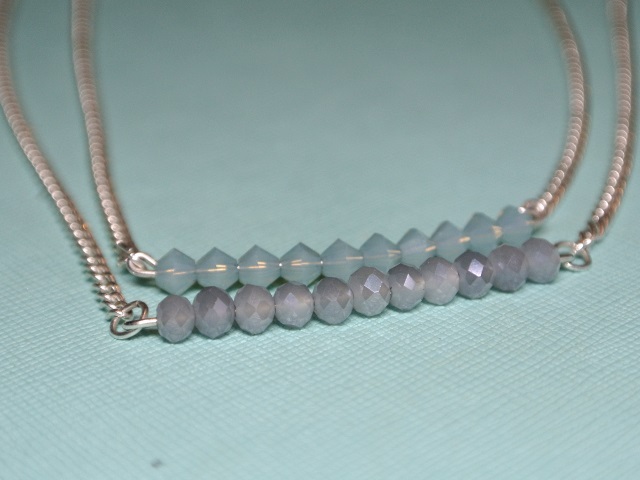 I had a few leftover beads and decided to make a necklace that looked like it was layered but only had one clasp. 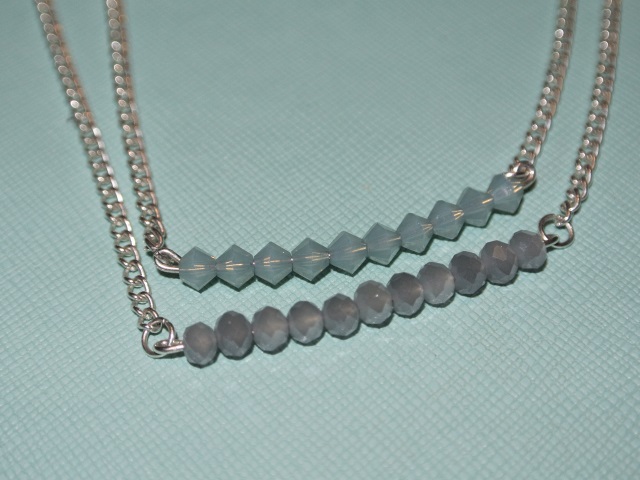 I made one of the chains slightly shorter which kept them from lying on top of each other. I also used a slightly heavier piece of metal to keep it from getting bent out of shape if I accidentally caught it on something. I used a long headpin and snipped off the end. It also made it easy to have the beaded sections remain the same size. It was a quick little project that is a great way to use up leftover beads. This entry was posted in crafty, jewelry and tagged beads, Necklace.